The TimeKeepers mission is to provide a meaningful user service that allows for the tracking of jobs, work hours, and income information. TimeKeepers will simplify the process of logging hours by providing services such as reminder notifications to clock-in upon arriving at a work cited. TimeKeepers will provide meaningful and accurate accounting of hours, pay, and taxes that are easy to read and understand. TimeKeepers secondary goal is to provide a simple means of budgeting. 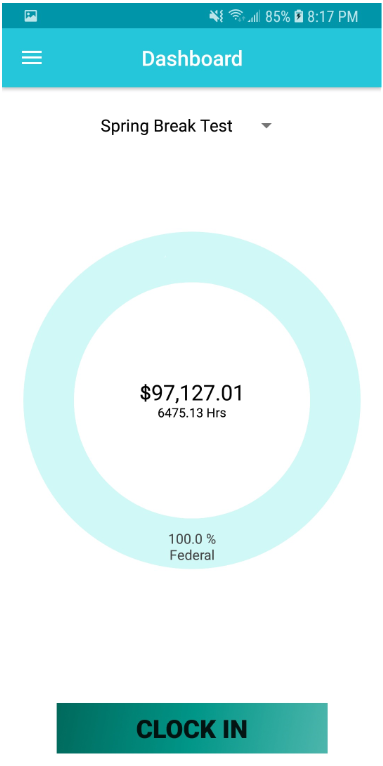 TimeKeepers budgeting will allow the user to store billing and receipt information with an accurate accounting of month to month financial expenditures. TimeKeepers strive for simplicity by simplifying the way users manage time and finances. Paul Lowder, John Houser, Logan Mancuso, Samuel McFall, Jacob Simpson. Jacob Simpson. Student and Entrepreneur. TimeKeepers.